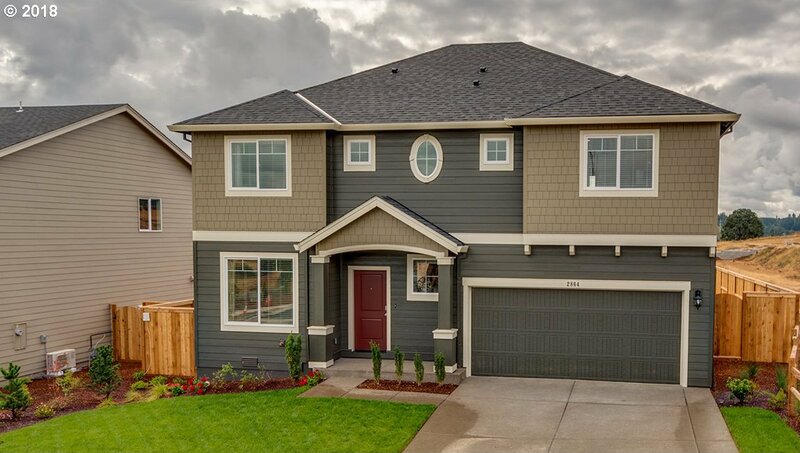 NEW COMMUNITY IN WEST SALEM! Whispering Heights is in a beautiful setting amongst vineyards and rolling hills. Our Baker floorplan is on a corner home site and has a striking vaulted entry, open concept layout with bdrm/full bath on main, 4 bedrooms + tech niche up. Granite, laminate flooring, gas range, pantry! Low HOA dues of $30/month! GPS to Red Hawk Winery. We're across the street. Sales office open Sat-Wed, 10a-5p, Th/Fr by appt. Listing courtesy of D. R. Horton, Inc Portland. Selling Office: Coldwell Banker Mountain West.